Microsoft's most anticipated OS has finally arrived, and there's no doubt that all of you out there who snagged a copy of Windows 8 are excited to see what's new. But while Windows 8 has received plenty of rave reviews, some users are upset about one controversial change—the missing Start menu. The implementation of the new Metro interface has rendered the old Start menu unnecessary, but some folks just want what they're used to. 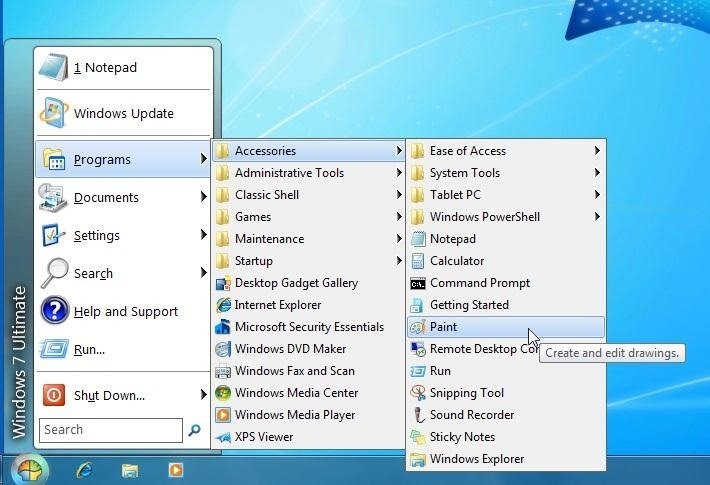 If you're one of those users who wants the classic Start menu in Windows 8, here are just a few ways to get her back. This free download is a highly customizable collection of features, spanning from older versions of Windows (that were later removed) to newer ones. 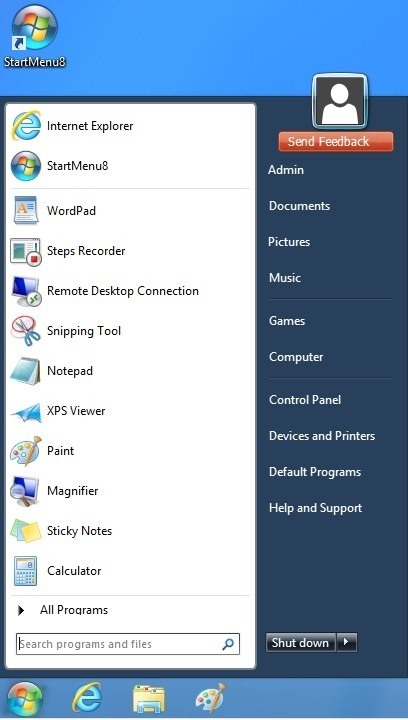 It has a customizable Start menu and Start button that you can use for Windows 8, as well as other great features that you can find listed in detail here. 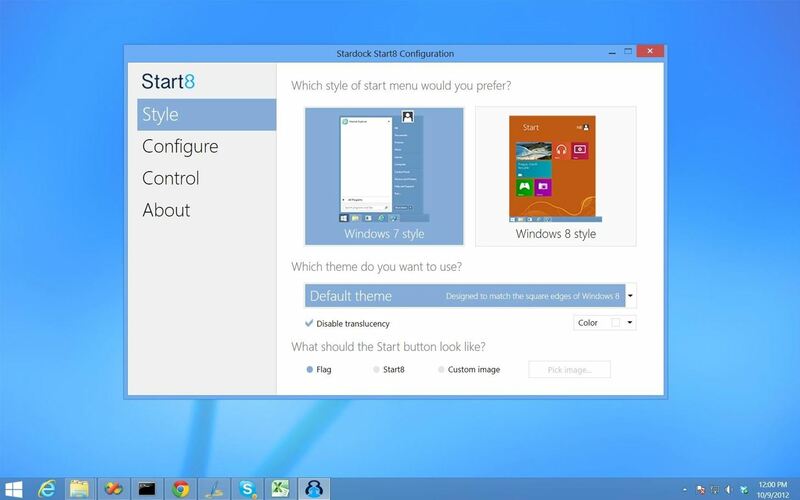 If you want simplicity, StartMenu8 can deliver a Start menu/button without any other features. You can easily switch between the Metro screen and the Desktop interface. You can download the application for free here. At first, Windows wasn't allowing Samsung to offer Quick Starter as a pre-installed option on Samsung devices, a download that would give users a Start menu with their devices. But, you can still download it for free from Samsung! Well, it's not available right now, but it will be shortly. 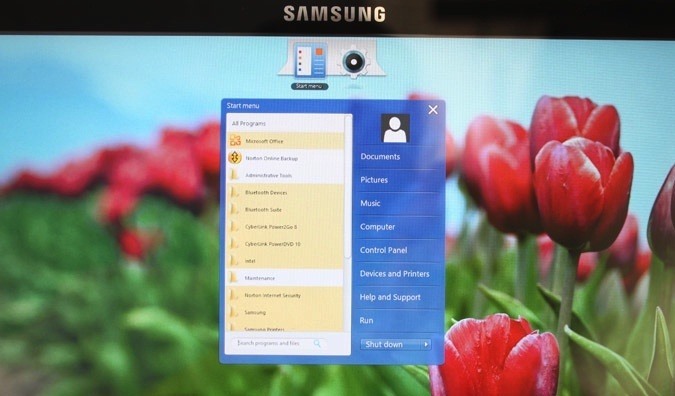 It'll bring back the Start menu for Samsung devices running Windows 8, such as the Series 5 and Series 7 Slate. If you don't mind shelling out a few dollars, Start8 might be the best choice of the bunch. 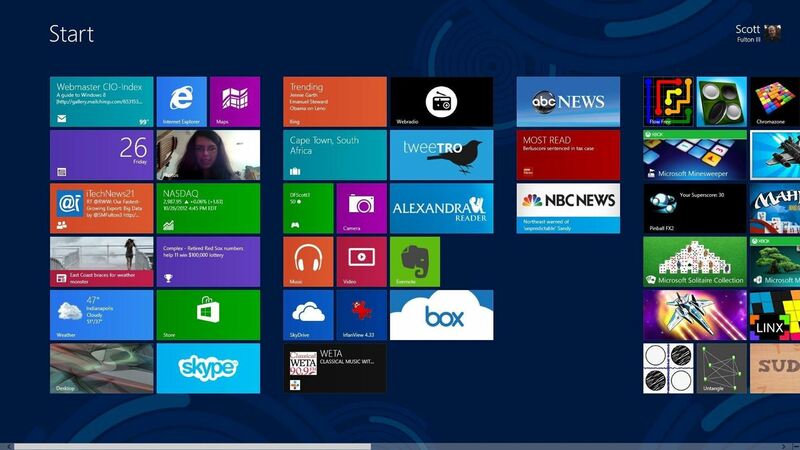 The integration between the Start menu and the new features in Windows 8 is seamless. It's very simple to use, but offers many features. You can download a free 30-day trial here or buy it here.